Going to do a few entries today, bring everything up to date. I’ve had houseguests and a change of employment status so my updating has been slack, but rest assured, I am back in the command chair and ready to blog! As you can gather by the title of this entry (Don’t worry, there will probably never be another one from Angelina), if they ever had any relation to the post, it has to do with a tattoo. I got my 4th two weeks ago today and it has almost healed. 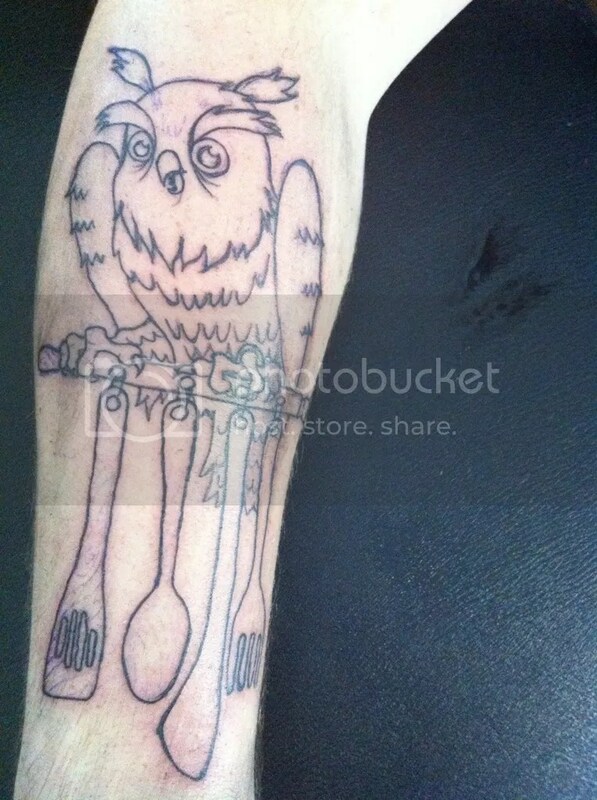 This is the quickest turn around time from getting the idea to getting it in ink. I’ll post all the pics then explain the meaning behind it. 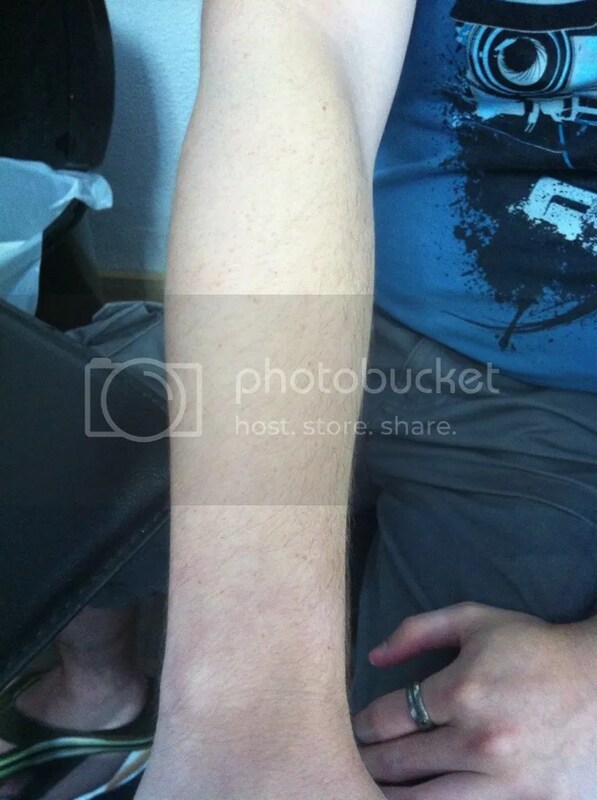 The last time this arm will ever be bare. 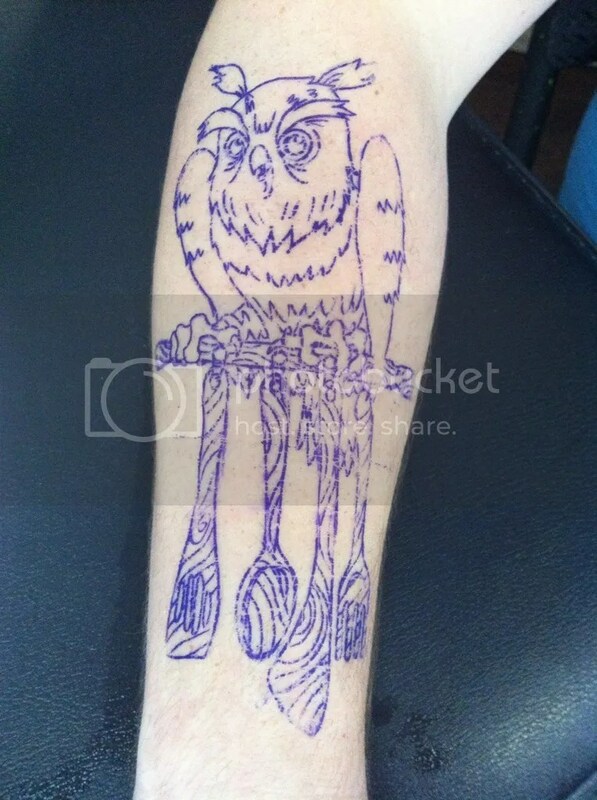 When talking with Marc Wright, my amazing artist, it started out as an owl with a frying pan, then became an owl sitting on a rack of pots and pans, like you would see over an island in a kitchen. 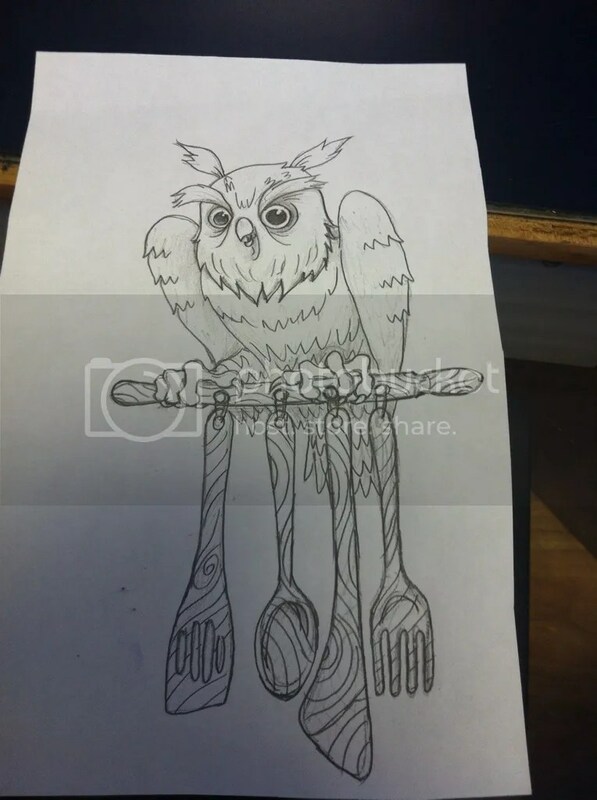 The pots and pans were then switched out for forks and spoons. Then Marc came up with the final suggestion that was perfect. 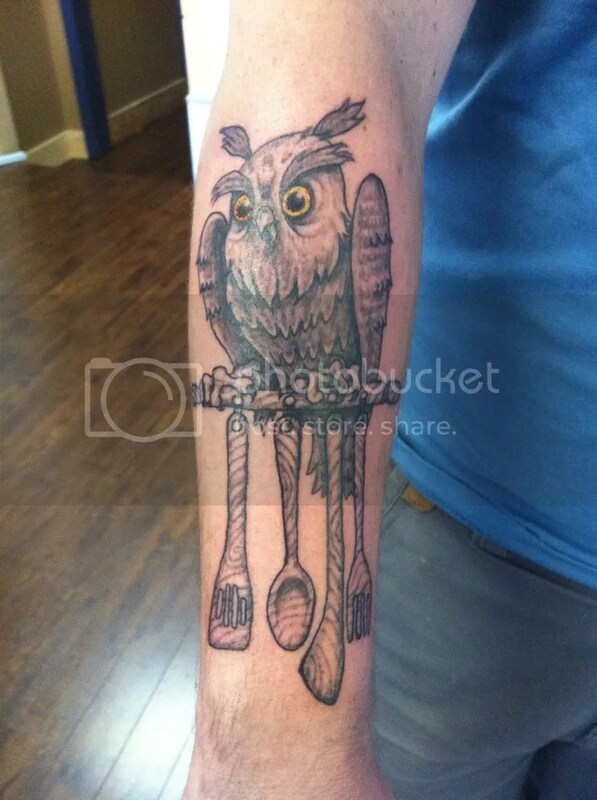 To avoid crazy long posts, I’m going to keep this one tattoo centric and keep the food posts to the following two.